Utah Saints vs Drumsound & Bassline Smith’s ‘What Can You Do For Me’ is the soundtrack to kick start 2012! 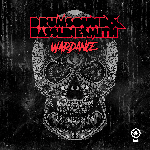 The D&B production powerhouse of Drumsound & Bassline Smith recommend 10 high-energy weapons in this fresh new Top 10. Get involved!